Stunning contemporary dining is yours with the Dayne Counter Table. 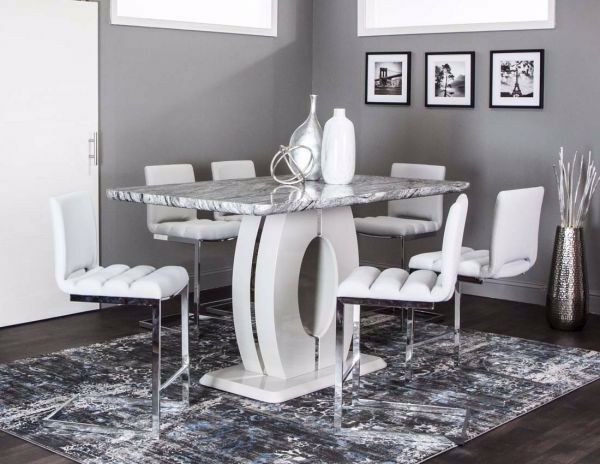 With a dazzling faux marble top and light gray polyester base with chrome accents, this table will bring an impressive modern flair to your dining area. 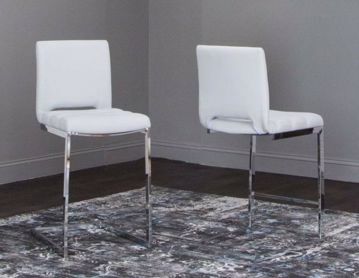 Add the matching Dayne Counter Stools for a complete look.